Rhombus Gem Pendant Only $3.25 + FREE Shipping! You are here: Home / Great Deals / Amazon Deals / Rhombus Gem Pendant Only $3.25 + FREE Shipping! 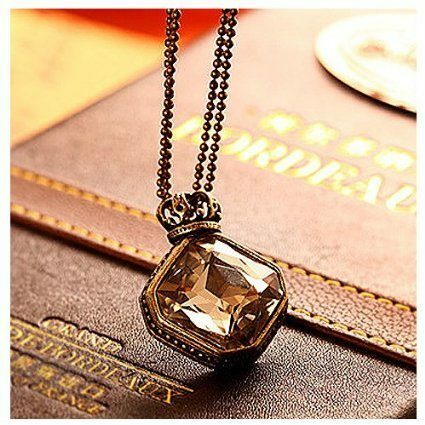 Check out this fabulous necklace I found – this really pretty Rhombus Gem Pendant is just $3.25 + FREE shipping! I LOVE this one! I think the gem is gorgeous, and at under $4 a piece, I’m totally grabbing a couple of these so I have some to give as gifts!